Innovative oilfield and renewables service company, ATAM Group is pleased to announce the launch of its proprietary ‘Build it Clean’ process utilising the ATAM Air Jet. The new process is designed to eliminate reworks, delayed start-up dates and inflated project budgets, often resulting from piping construction cleanliness issues. 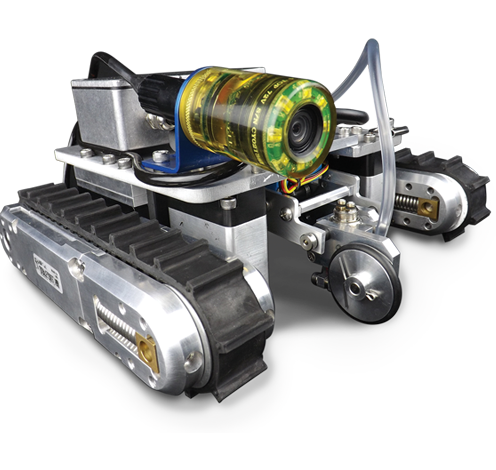 The ATAM Air Jet, developed in-house, is environmentally friendly as it greatly reduces wash water usage and contaminated water disposal. 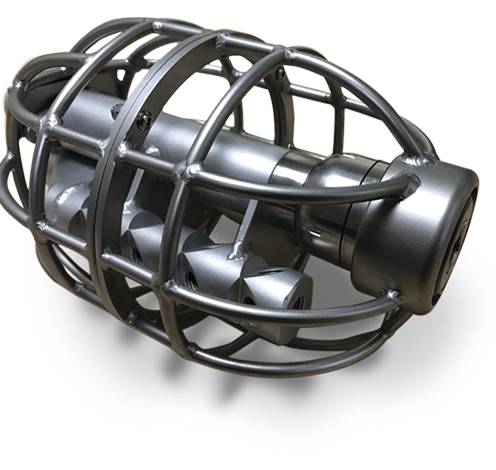 Capable of cleaning and visually inspecting simultaneously, the new product used with ATAM Group’s ‘Build it Clean’ process replaces longstanding industry methods, whilst providing a 100% internal inspection record of the completed piping systems. The ‘Build it Clean’ process is designed to eliminate this uncertainty for the asset owner, reducing delays and project inefficiencies. 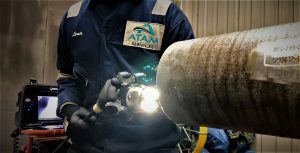 ATAM Group, led by managing director, Mark Loades, who has over 20 years of industry experience, is positively impacting aged, drawn-out procedures and is offering efficient economical solutions to existing, outdated operations across the oil & gas and renewable energy industries. Loades explained: “After years of working in the industry and repeated exposure to new build piping construction projects, I found it increasingly frustrating to work with inefficient pipe cleaning and inspection procedures. “Whilst working on other projects, I had found that start-up dates could be deferred from three to twelve months due to piping cleanliness – often resulting in expenditures 20% North of planned budgets. Innovative oilfield and renewables service company, ATAM Group is delighted to be opening their first office in the energy capital of Europe as they prepare to launch three new product lines for the industry. Based in Great Yarmouth since the company was established in 2016, ATAM Group is proud to be opening their second office in Aberdeen as it continues to grow and establish itself as a market leader of innovative tools and software products for maintenance, cleaning and inspection. Led by experienced industry professional , Mark Loades, the group are investing a seven figure sum into plans for the UK. 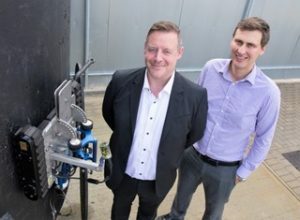 This includes the opening of a new office site in Dyce, Aberdeen and the launch of three new product lines, including a range of pipe cleanliness and inspection tooling, unmanned magnetic ROV’s and their unique software package for asset management and intelligence. Their second site in Dyce, which will act as a remote service center for their innovative products will see the appointment of several new members of staff and a large increase in turnover. Talking of the new work site, Mark Loades, who has over 20 years of experience explained: “This last year has been an exciting whirlwind of new opportunities and future proofing. Having officially launched at the Southern North Sea Conference and Exhibition at the start of 2017, and then to go on to be a finalist at the EEEGR Innovation Awards for our work to date was an unbelievable achievement. Using a range of highly innovative products, developed in-house, ATAM group are positively impacting aged, drawn-out procedures and offering efficient economical solutions to existing, outdated operations across the industry. Their revolutionary “Build it Clean” procedures works with the client to achieve 100% inspection records, eliminating the need for costly reworks within the piping construction process. After years of working in the industry and finding it increasingly frustrating to work with inefficient piping cleanliness and inspection procedures, I came to realize that I could offer a more efficient service than is currently practiced within the industry. This realization was the catalyst behind my founding of ATAM Group”. “ATAM Group is proud to consider itself a new classification of service company, one who acts as an ally to asset owners, saving them time and money. With project cleanliness issues typically running costs over budget and delaying start–up schedules, ATAM Groups unique tooling and process can drastically reduce these delays. Innovative products and services offered by both ATAM Asset Management and ATAM Services divisions will be showcased at the 2017 Southern North Sea exhibition. Visit us at stand A2 on 1-2 March to see what we can offer.